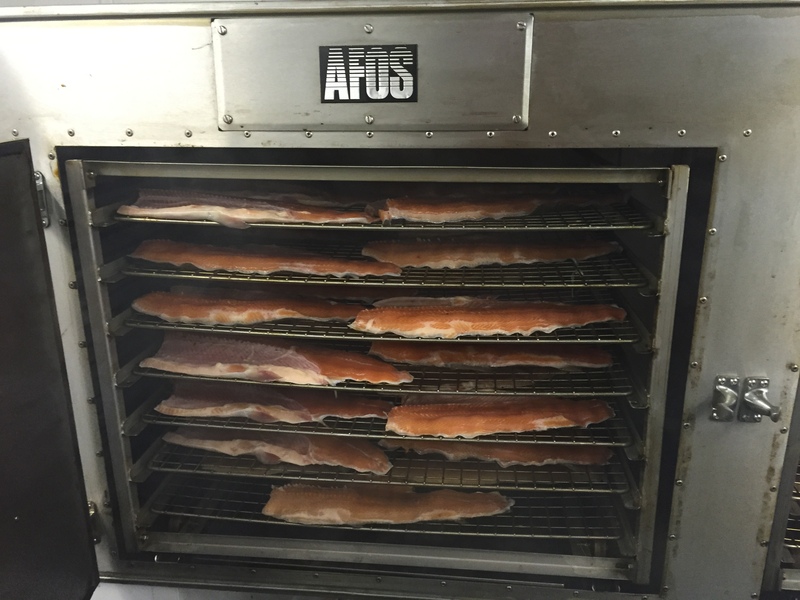 The farm smokehouse employs well accomplished, traditional methods of curing and smoking, taking time and care to produce our tasty, smoked range. 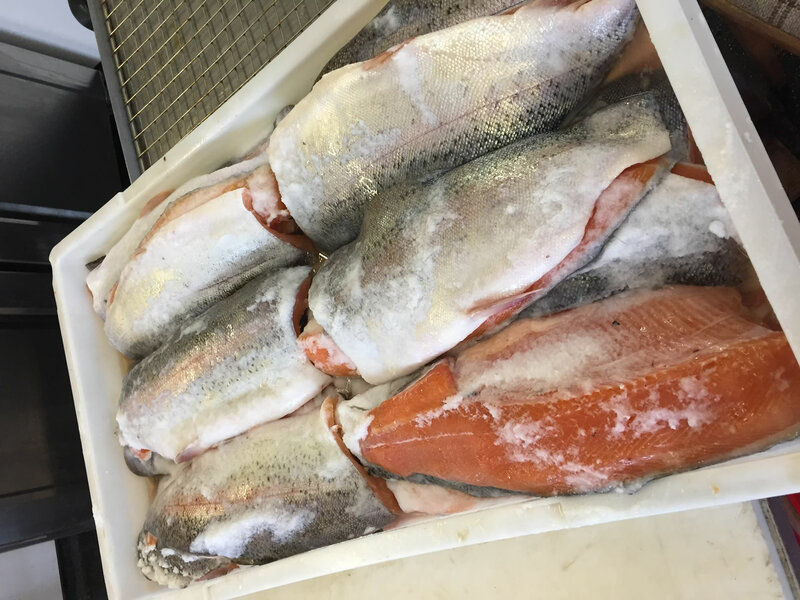 All trout used for hot and cold smoking are home grown on the farm to ensure that the be st quality ingredient is used. 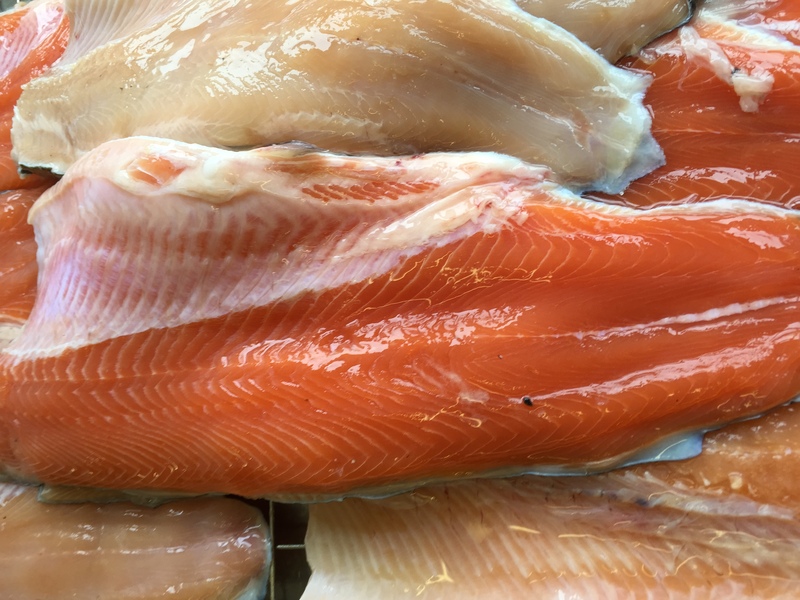 The cold smoked trout is also used in our best-selling smoked trout pate, which is a favourite at local markets. Further products from the smokehouse are smoked duck and chicken breasts. Every effort is made to source high-quality, local poultry which is smoked on-site and can be purchased alongside our trout. 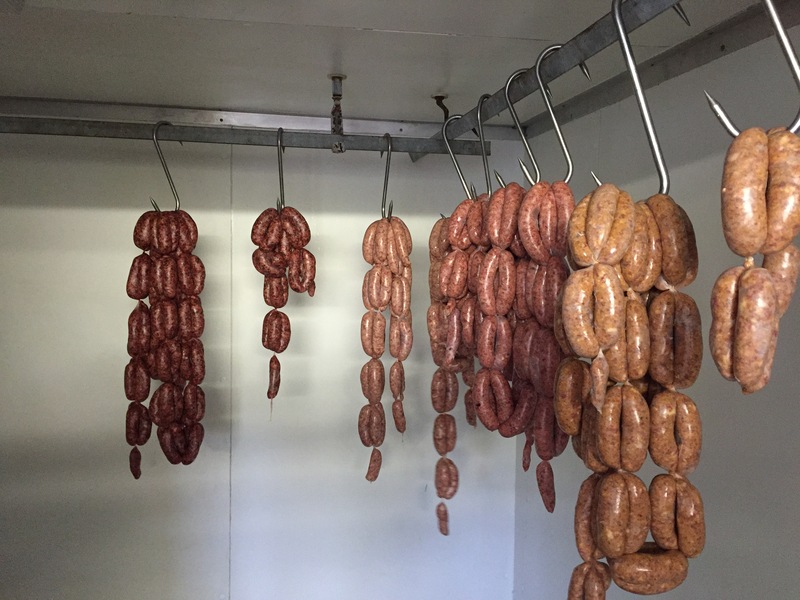 What started as a hobby, keeping Oxford Sandy and Black pigs, has now developed into our flavoured pork sausage range. 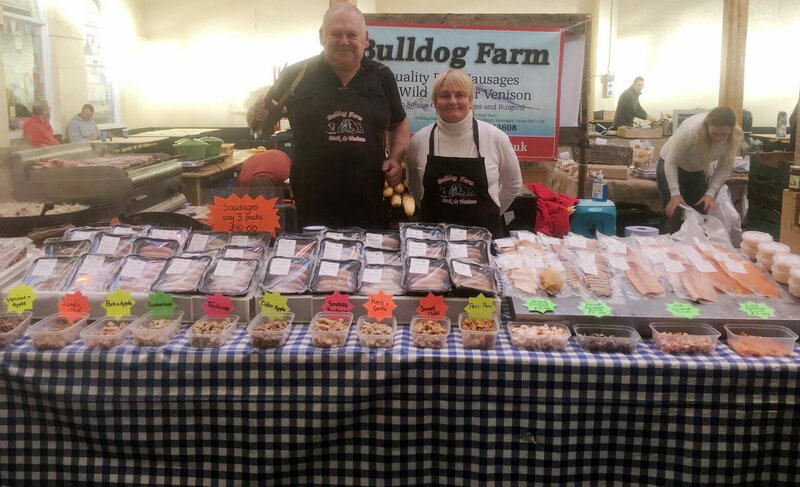 We endeavour at all times to use our own home-grown pigs; but at times of high demand pork is bought in from local suppliers. 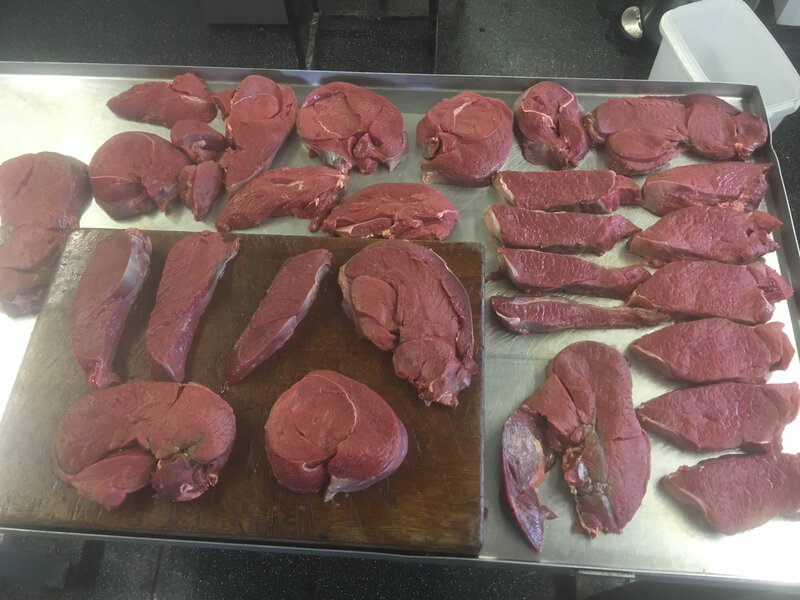 Venison is sourced from on and around Exmoor, by four experienced huntsmen. Carcases are hung in our chiller, for up to twenty-one days, then butchered into joints, steaks, burgers, sausages and diced packs. 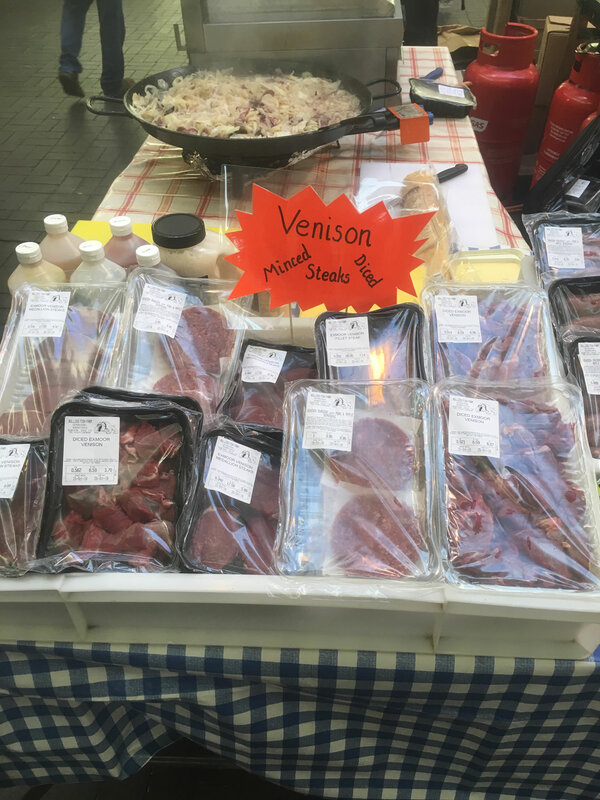 All venison is subject to availability, due to the deer hunting seasons. 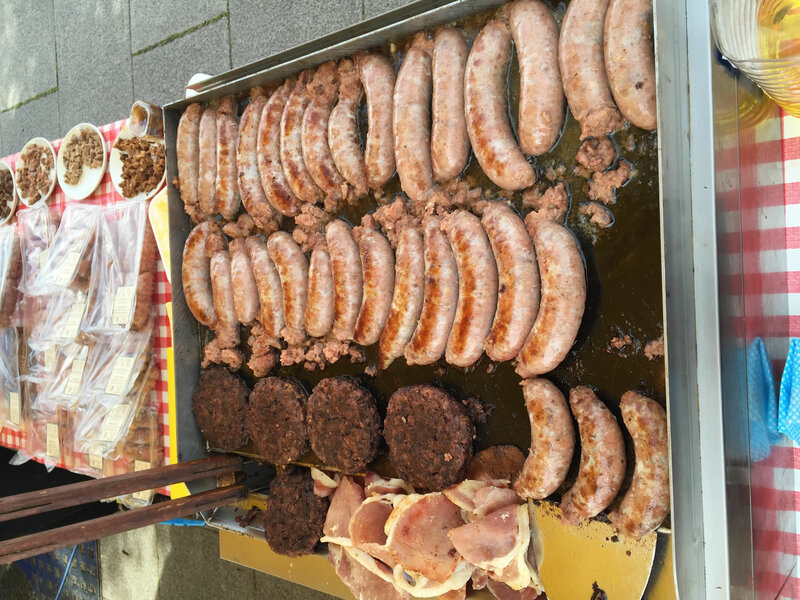 All smoked and farm produce can be purchased at local markets, see mobile catering page for dates and venues.